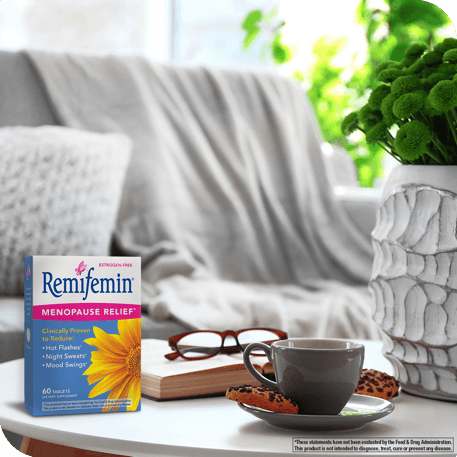 Remifemin is a female friendly formula. NO propylene glycol, hormones, soy, artificial colors, flavors or preservatives. As a woman’s hormone levels start to drop, she can begin to experience physical and emotional changes, as she enters perimenopause. This phase typically lasts 3-5 years, but can last up to 10 years. While the changes are numerous, many women agree that hot flashes, night sweats, irritability and related occasional sleeplessness are at the top of the list. When a woman has not had a period for 12 months, she is in menopause. The average age of menopause is 51, but it can vary from woman to woman. 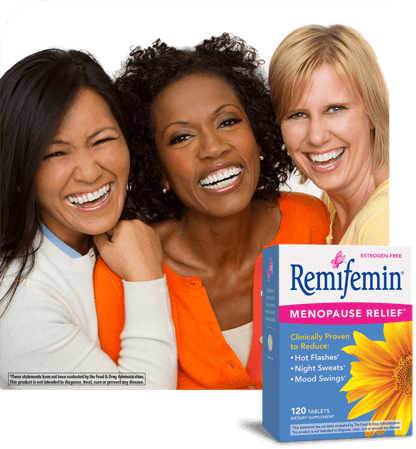 All women will experience perimenopause and menopause, but no two women will experience it in exactly the same way. It’s important to have support along the way. 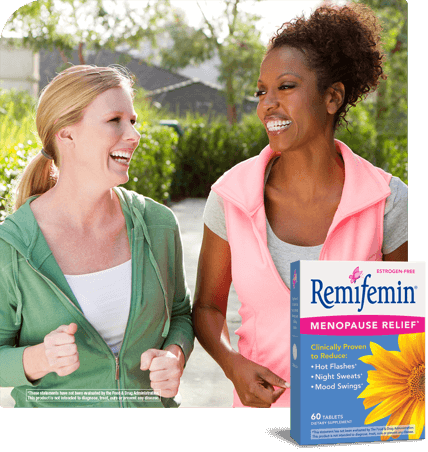 Because Remifemin is hormone-free, it can be used by women who choose not to take estrogen.